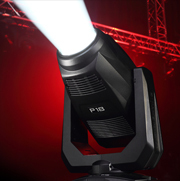 SGM’s P-2 and P-5 wash light fixtures teamed up with Creativ Nation. Formerly known as Le Diplomate, Creativ Nation has made many business upgrades and changes over the past few months. 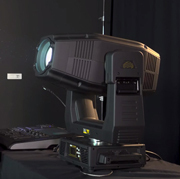 Additional to their rebranding, their stock in fixtures has also grown to make room for the revolutionary SGM IP65-rated P-5 LED wash light, which is now available for rental in the Montreal region. 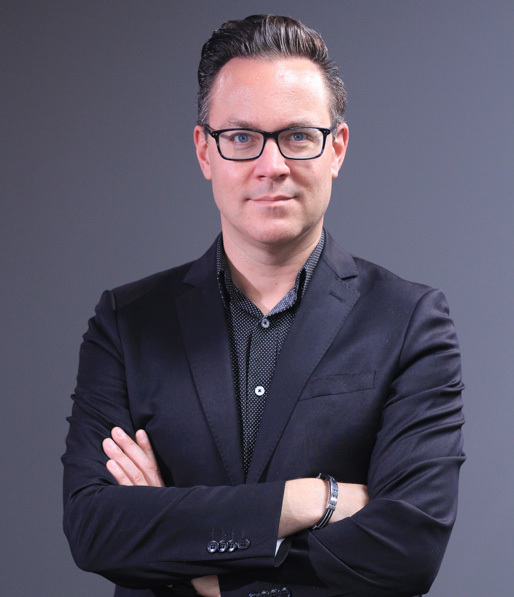 “My client had a great openness in terms of marketing and wanted to put promotional emphasis on his new real estate project under construction. 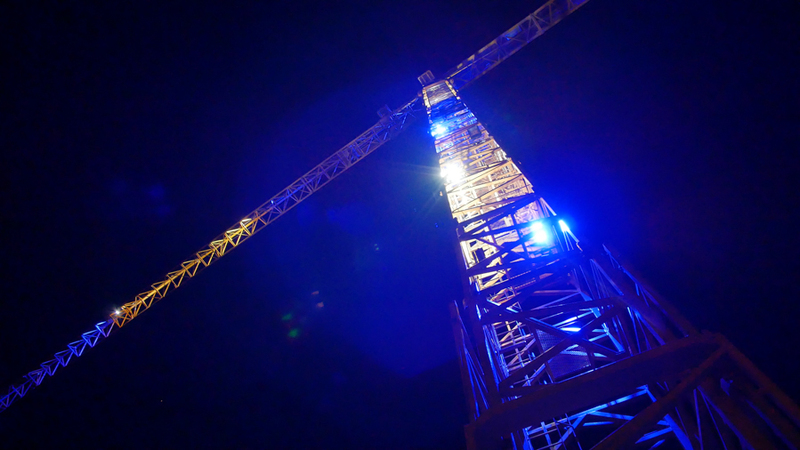 A 30-story retirement tower, the highest in Canada!” Soon the crane illumination project was underway. 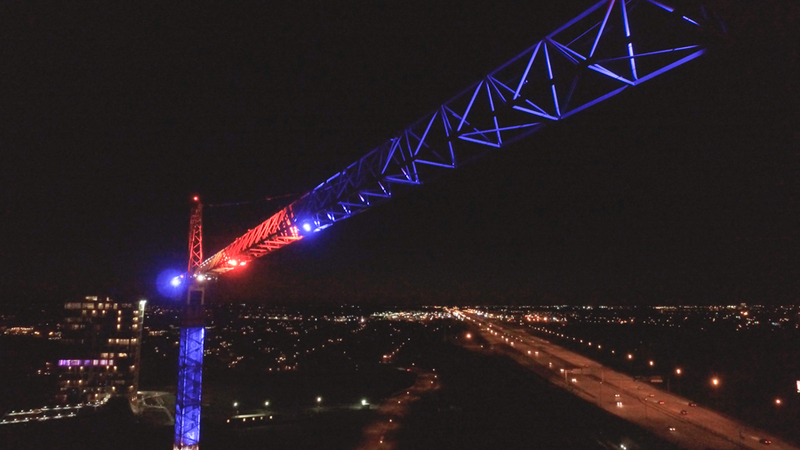 Berthiaume knew that there would be extensive challenges to beautifully illuminate these structures while being mindful to not hinder the construction process. 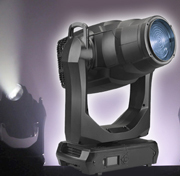 SGM’s wireless DMX technology provided great versatility without compromising the functionality of the wash light. 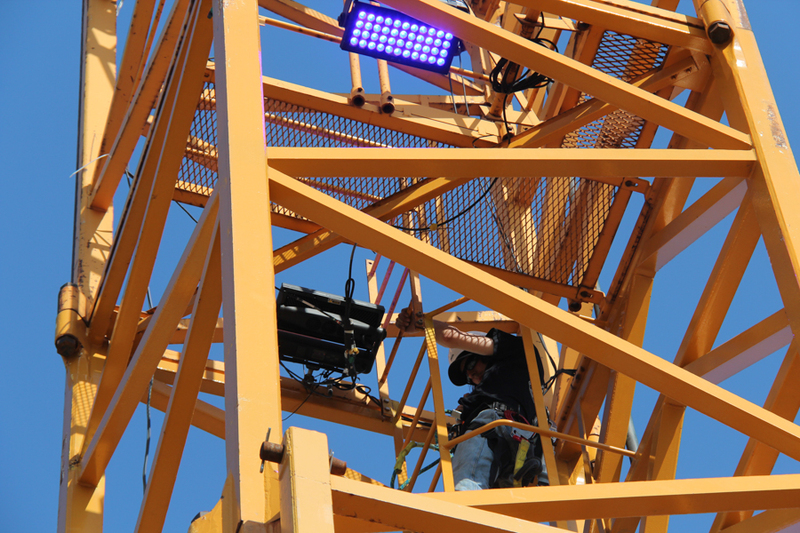 Berthiaume explained: “Our first challenge was to limit the installation of wiring so as not to obstruct the various mechanisms of the crane from a height of 200 feet. 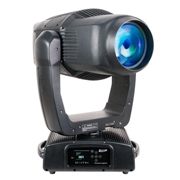 With the help of the wireless DMX technology of SGM, we were able to carry out this mandate with brilliance.” This was not the only challenges faced by Creativ Nation’s Producer. 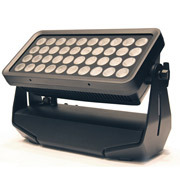 Power consumption and output of the LEDs also factored into this project, however, these issues were also resolved deploying SGM’s luminaires due to their bright and powerful output, and relatively low power consumption.